Take what you know about a typical indoor shooting range in Denver, Colorado from experience or from television and forget about it. 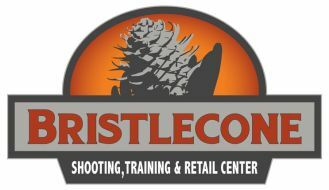 At Bristlecone Shooting, Training & Retail Center you’re in for a NEW indoor shooting experience. Bristlecone offers Memberships and also welcomes walk-in customers! You do not need to be a Member to enjoy the range and facility. 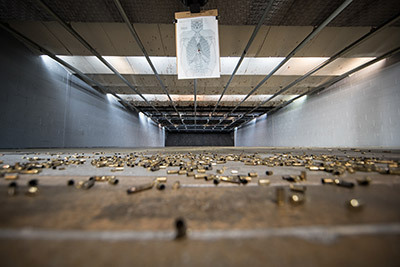 Not only is our Denver-area shooting center built with state-of-the-art equipment—from the automated target retrieval system and tactical skills enhancing equipment to the customized air filtration and ventilation system —but every design detail was thought through to create a safe, comfortable, and fun shooting experience. With 14 indoor lanes, each stretching 25 yards, you are welcome to shoot your handguns, shotguns, and rifles here. A wide variety of firearms (including full auto and suppressed) are also available for rent. The lanes are separated into two range bays. The first is reserved for standard pistol target shooting practice and has six fixed firing point lanes each with electronically controlled rail-based target retrieval systems. The second bay, with eight lanes, is equipped for tactical shooting practice and training. Here, the stalls are equipped with advanced tactical, fully automated, computer-controlled, 360° full turning target retrieval systems. The stalls in both bays are separated by clear ballistic glass for optimum instructor viewing. To fully understand what the Bristlecone tactical shooting bay is about, you must experience it. We can describe the quick-turn friend/foe, advancing/retreating targets, fully programmable for live courses of fire, and the no light and low-light capabilities of the individual target carriers, but it’s not until you see the space and the top of the line equipment in action that you can fully understand the possibilities. Where do you want to take your shooting skills? Whether you are interested in a recreational shooting experience from time to time, looking to hone your personal defense skills, or you are ready for top-of-the-line training and exercises, there is a place for you at Bristlecone Shooting, Training & Retail Center. Take a moment to review our range rules and the details of our rental program. Then come by Bristlecone’s Indoor Shooting Range In Denver, Colorado and see for yourself how different our Colorado indoor gun range really is.